Before I started speaking I always wonder how people know about the conferences. Turns out most information is still disseminated in the traditional way: word of mouth. And that is how I heard about CooFoo: from other speakers. Specifically, I heard about it when I was in Amsterdam for Dutch Mobile Conference. They told me ConFoo is a very well-run conference covering a variety of technologies, and they treat speakers very well. 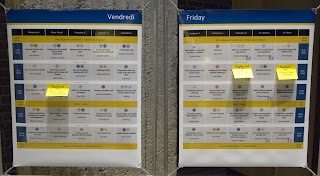 So I followed ConFoo on Twitter, waited for the CFP, and submitted three talks. Two of the got accepted, which brought me to Montreal two weeks ago. I was a bit overwhelmed when I first looked at the program. There are ten tracks going on at the same time! 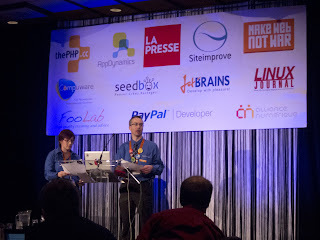 Lots and lots of different technologies, and I often wanted to go to two talks in the same slot. When there were conflicts, I often picked based on speakers. I know both Sandi Metz and Katrina Owen are great speakers, so I made sure went to their talks. They have great content in their talks, but they also pay great attention to delivery, bringing us on a journey through out the talk. I also tried to go to talks which will expand my horizons. 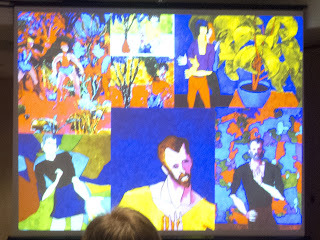 Creative Machines by Joseph Wilk was a great example. I got to hear about AARON, a machine that was trained by a painter over 40 years. The results are quite amazing. 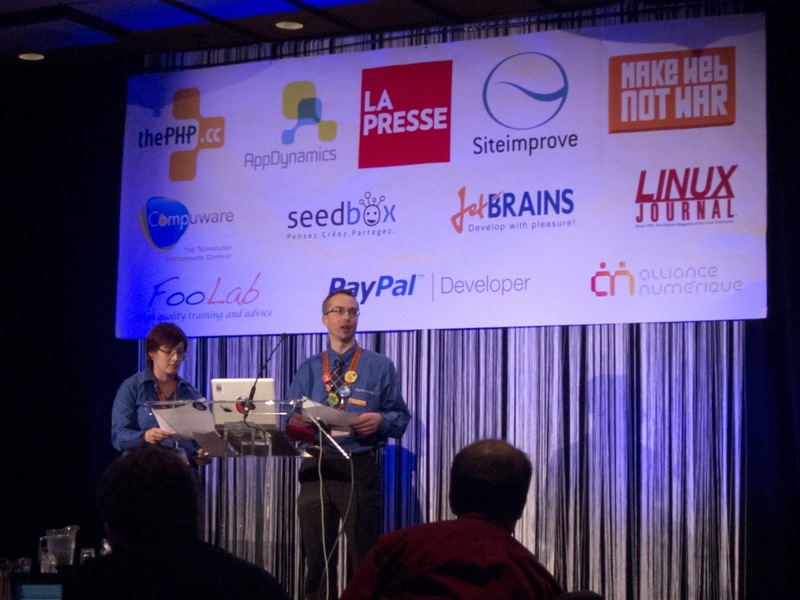 I gave two talks at ConFoo: Fluid Android Layouts and Mobile Caching Strategies. Mobile Caching Strategies is a high-level talk, no code at all, so I knew it would work well in a general conference like ConFoo. Fluid Android Layouts is a deep dive, and I found it difficult to cater to the different levels of experience in the audience. To make sure everyone can follow along, I went over some Android basics at the beginning. But I also provided code samples so the Android developers in the crowd had something to take home. 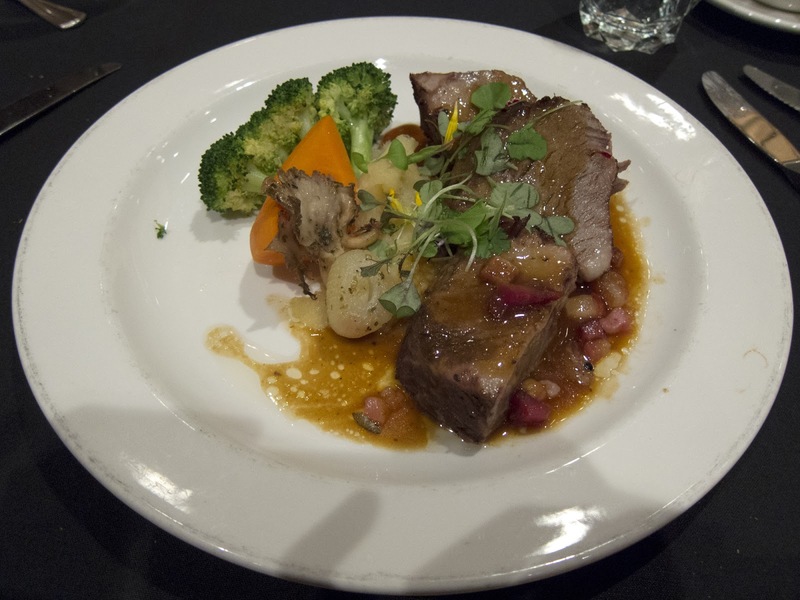 ConFoo covers so many topics, and yet manages to keep the environment very intimate. There was plenty of opportunities to mingle with everyone, including very nice sit down lunches everyday. There were volunteers at each session to help the speakers set up, give timing signals, and collect feedback forms at the end. Overall everything is well-communicated, and the organizers make sure everyone is having a good time. Bravo! 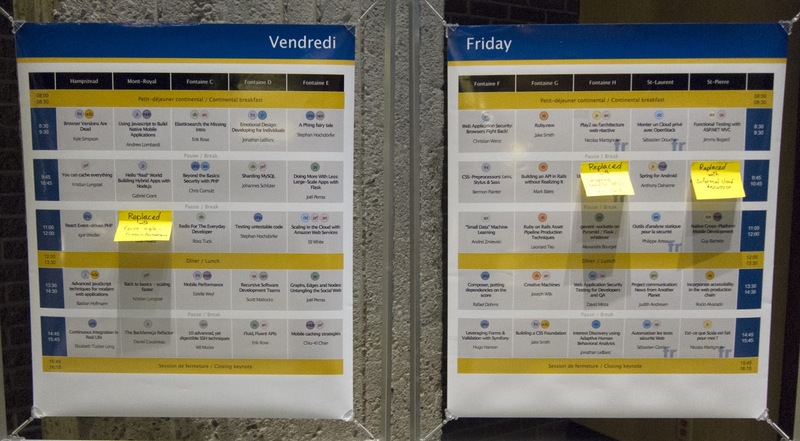 With three conference days and ten tracks, there were a lot of speakers. 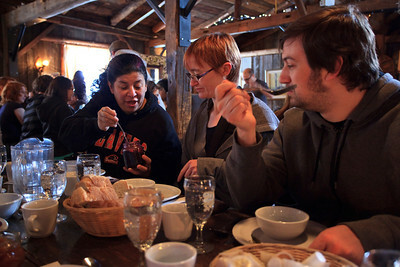 The organizers arranged quite a few activities for us, one of which is to visit a traditional sugar shack. 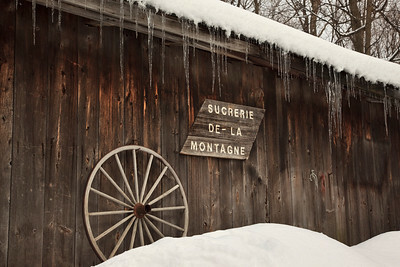 It was an hour drive from Montreal, in an idyllic setting among the snow. We sat down in a wooden cabin and ate everything with maple syrup: bread, soup, sausages, frittata, meat balls, pancakes, coffee, just everything. I got to hang out with many different speakers, and not surprisingly, I already knew a few of them through various conferences, notably Dutch Mobile Conference. I decided to stay an extra night to do some sightseeing. 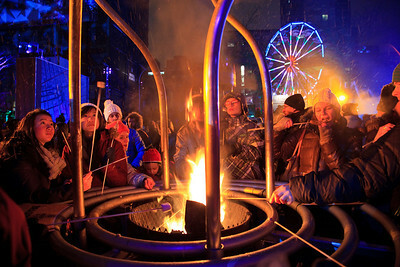 It happens to be Nuit Blanche, the winter celebration. There were activities all over the city. We started by exploring the underground passageways, which were running an art exhibition. 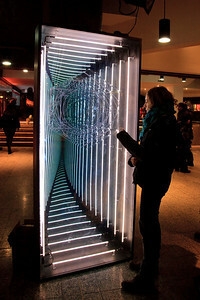 My favorite is by Baillat Cardell & Fils, which consists of a box with a mirror and a few tubes in front of it. But it was cleverly arranged that it looks like you are gazing into a tunnel. 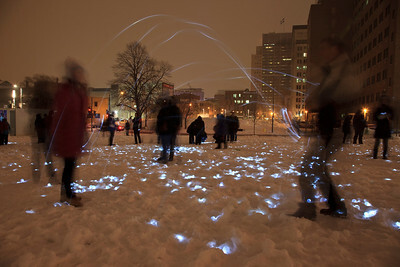 We came up from underground and went to a square sprinkled with glowing snowballs. They were translucent ping-pong balls stuffed with an LED light, and so much fun to play! People juggled them, buried them in snow, and of course, threw them at each other. Such a brilliant idea! At 9 o'clock there were fireworks. Afterwards we mingled among the crowd and checked out the various food vendors. The most interested one had open fire pits. People bought sausages and marshmallows to roast in them. There was so much going on I couldn't describe it all. We saw fire dances, light shows, projections, blacksmithing, glass blowing... the whole city was awake until the wee hours. We couldn't believe it when we got back to the hotel - it was already 2am!